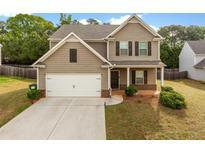 Find Conyers, GA Condos for sale. View Photos, Maps and MLS Data Now! Gardens At Fieldstone - This Home Is A Must See. MLS#6539816. Realty Professionals, Inc..
Stafford Glen - Attached 2-Car Garage With Carriage-Style Doors And Garage Door Openers. Guest Bedroom On Main Level. MLS#6539634. Myers Team Realty. Stafford Glen - Convenient To Schools, Entertainment, And Shopping. MLS#6539646. Myers Team Realty. This One Will Not Last Long. Book Your Showing Today! MLS#6539651. Mark Spain Real Estate. Deerwood - Custom Estate Home *3/4 Acre Cul-De-Sac Lot *3 Sides Brick *2 Story Entry *Formal Living *Formal Dining Room *Light Filled Family Room *Entertainers Kitchen *Granite Counters *Island *Ample Cabinet Space *Double Ovens *Gas Cooktop *Guest Bed & Full Bath On Main *Laundry On Main *Office *2 Upper Level Master Suites Each W/Sitting Area, Fireplace, Built-In Bookcases, Ensuite W/ Double Vanities, Jacuzzi Tub & Wic'S *Finished Terrace Level *Media Room With Surround Sound *2 Bedroom'S *Jack & Jill Bath *Home Salon *Game Room *Unfinished Storage Space *Screened In Porch *Grilling Deck MLS#6538719. Exp Realty, Llc..
Avondale Springs - Neighborhood Consists Of Tennis Court, Pool, And Kids Playground. MLS#6538653. Mark Spain Real Estate. Cash Offers Only. Will Not Qualify For Fha. MLS#6538231. Keller Williams Realty Chattahoochee North, Llc. Smokerise East - You'Ll Love This Beautiful Listing Along With The Space It Comes With. MLS#6538162. Keller Williams Realty Atl Part. Bridgestone Village - Front Porch With Ceramic Tile, Two Car With Remote, Back Deck, Close To Shopping. MLS#6538379. 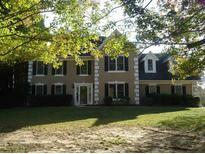 Professional Realty, Inc..
Weatherstone - Big Finished Basement Makes Perfect In Law Suite With Bathroom And Sink Area! MLS#6538376. Virtual Properties Realty.Com. St Julians Place - Seller Will Review All Offers 3 Days After Listing Date. MLS#6538010. Bridgewell Realty Inc.
All Buyers Welcome, Home Won'T Last, Priced To Sell! 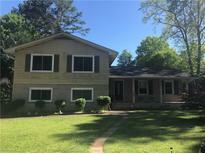 MLS#6537769. Keller Wms Realty Atl Metro E.
Hi Roc Plantation - Upstairs Has Mini-Suite With Bedroom And Private Bathroom, Hall Bath; Oversized Owner Suite With Fireplace, Large Double Vanity With Huge Walk-In Closet, Extra Shelving. MLS#6537630. Exp Realty, Llc.. Screened Deck/Porch Off Dining Room Area. Must See. Sold As Is MLS#6537594. Era Towne Square Realty, Inc..
Easy Access To I-20 East. Below Appraised Value! MLS#6537461. Myers Team Realty. Buckingham - You’Ll Have Plenty Of Space Both Inside And Out With 1.73 Acres To Call Your Own! MLS#6536662. Maximum One Executive Realtors. Hvac Is Less Than 3 Years Old. MLS#6537115. Atlanta Choice Realty, Inc..
South Mill - This Home Features A Full Unfinished Basement With Unlimited Potential Waiting For Someone To Customize. MLS#6535558. Method Real Estate Advisors. Harrison Mill Estates - Master Bath Retreat With Separate His/Hers Vanities, Separate Tub/Shower. MLS#6535786. Keller Williams Realty Atl Part. Westbury Park - Great For Gold Cart Or Workshop Plus An Awesome Covered Front Porch! MLS#6535845. Re/Max Tru. Westbury Park - Come And Enjoy Those Georgia Nights Sipping Tea On Your Awesome Front Porch. MLS#6535741. Re/Max Tru.